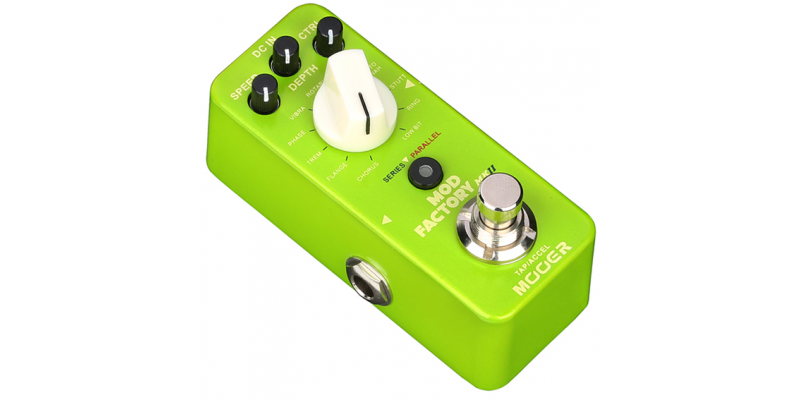 The Mooer MME2 Mod Factory MkII Modulation pedal is a digital Multi Modulation pedal with 11 different algorithms from this specialist in micro pedals. It features series/parallel routing control, tap temp control and an acceleration function. The Mod Factory MkII is now available from Merchant City Music, online and in our Glasgow store. We ship fast to the UK and Europe. 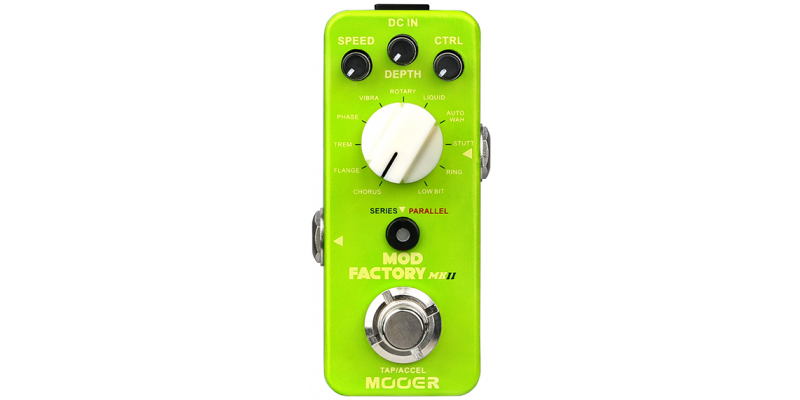 The Mooer MOD FACTORY MKII contains 11 algorithms straight out of Mooer's award-winning MOD FACTORY PRO. All the usual suspects are there such as Chorus, Flange, Trem and Phase but it also sports a cool new low-bit effect and ring modulator that have proven very popular with the PRO version.